We know from your emails that you enjoy seeing ‘mystery photos’ and working out just where they were taken. Well, just to be a little different, we have a ‘mystery clock’ series. Every week we will publish the detail of a well-known city clock. It will be your task to identify it and post your guess in the comments below. The person with the most correct answers over the series will receive a copy of the interactive CDRom ‘My Brighton’, on which this website was based. In the case of a draw, each person will receive a copy. Lots of you got this one – how about looking to see if you can identify mystery clock number 2 here. This clock is on the front of Brighton railway station, top of Queens Road. I think this clock is at Brighton station. Is it at Brighton’s Town Hall, Bartholomews Square? Too easy, and I haven’t been to Brighton since 1985. Mick Peirson. I was way out and I used to live just up the road from the station 40 years ago!!! 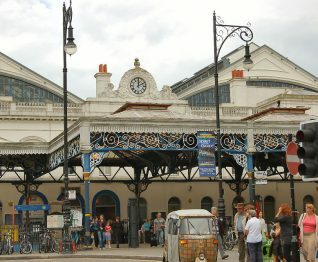 You should have electronically removed the station roof, its a dead give-a-way, Brighton Station. 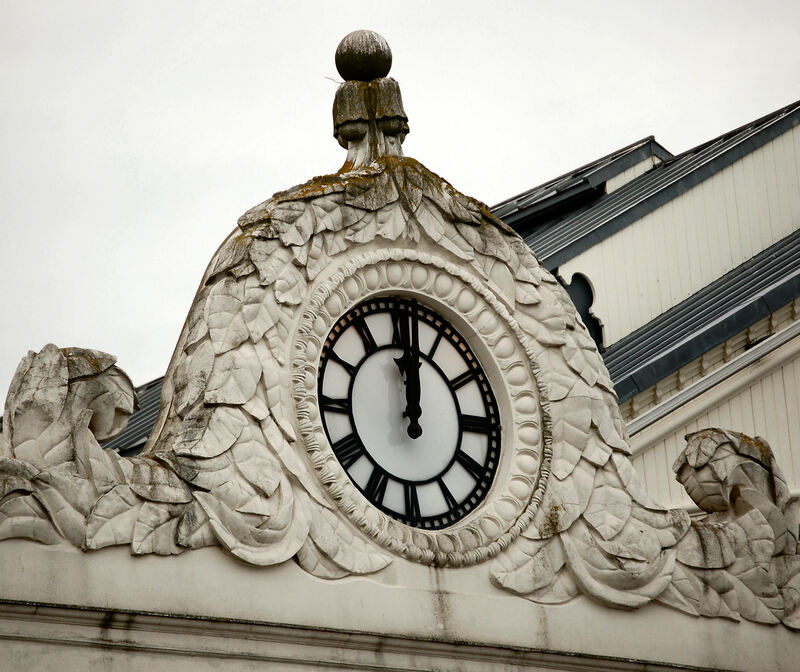 This clock is on the front facade of Brighton railway station. Brighton Station without a doubt. On the front of the railway station – my place of work since the 21st June 1971.